The problem is, we only have so much time at practice and there is an insane amount of drills, exercises, or stretches to choose from online. What can I say, honesty is the best policy. From experience, I know this part of gymnastics training leaves many people feeling frustrated, overwhelmed, and to be honest helpless. All coaches want is to help increase shoulder or hip flexibility so their athletes can get new skills or do well at meets, using stretches that don’t risk injury or cause excessive pain. I remember being where you are, and it is not fun. Thankfully after reading a lot and finding what works, I’ve learned a lot and want you to be able to help gymnasts you work with. Over the last few months, many people have been contacting me wanting to know what flexibility exercises or drills they should use to help their gymnasts who don’t have full splits, a flat handstand line, or a good swing. To help people out, I put together a step by step guide of the exact flexibility circuits I use in the gym or at Champion when treating gymnasts. I included flexibility circuits that could be done in under 10 minutes (once the exercises are taught), require very little equipment, can be used with every level, and are based on all of the science I have read in the last 5 years. Along with including pictures and videos for every drill, I also included one-page checklists you could print out and use at practice with athletes. Just enter your email, and I’ll send it right to your email inbox. Hope it helps! How Much Flexibility Is Too Much For A Gymnast? Love what you’re doing, and your energy and enthusiasm. Thanks for everything you share. It’s great to learn from you. is this where I put my email for the download? 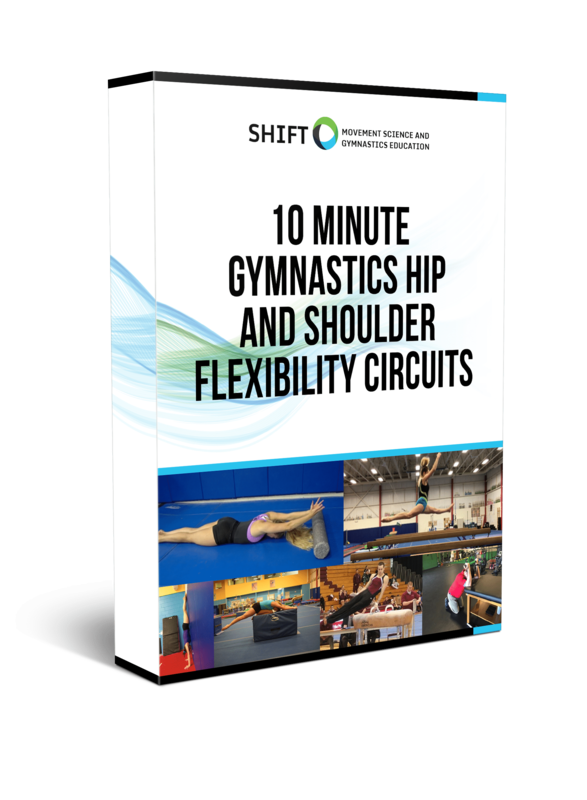 "10 Minute Gymnastics Hip and Shoulder Flexibility Circuits"